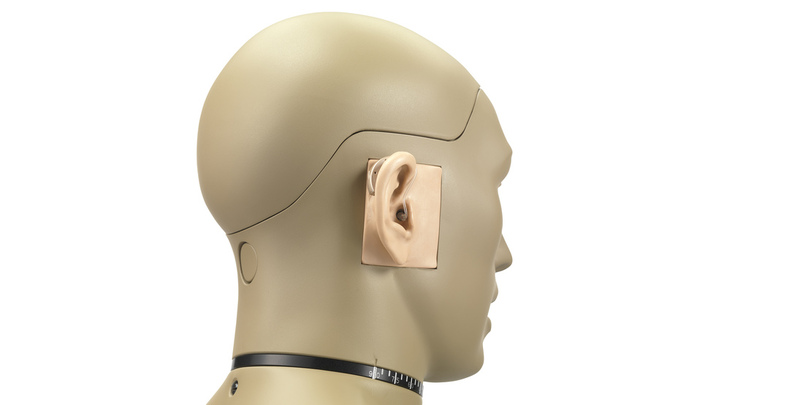 The 45BB-1 is a KEMAR head and torso for 1-channel hearing-aid test, with externally polarized ear simulator and large 55 Shore OO pinnae. The main configuration specific components of the 45BB-1 are the GRAS RA0045 Ear Simulator According to 60318-4 and the KB0066/KB50065 large pinnae. Even though 45BB-1 is configured for single-channel testing, both pinnae must be used to obtain correct diffraction around the head.